From the list of enviable characteristics associated with the variety, there hardly seems to be a disease that it isn't resistant to! Foxendown is such a clean, healthy and vibrant luxurious bush it is ideal for the organic grower or any of us who do not like gardening with chemicals. 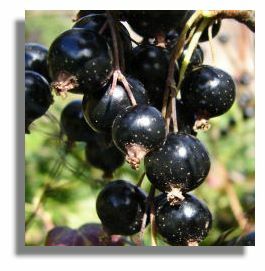 Of very erect, easily managed habit, the bushes produce a good yield easily harvested from long fruiting strings clustered with glossy black, well flavoured berries. Raised from Ben Lomond, also an excellent variety, Foxendown is a valuable addition at the top end of the Blackcurrant range with such healthy growth, good yields and quality, flavour and growth habit. A variety absolutely sure to please. First year on offer, stock limited.